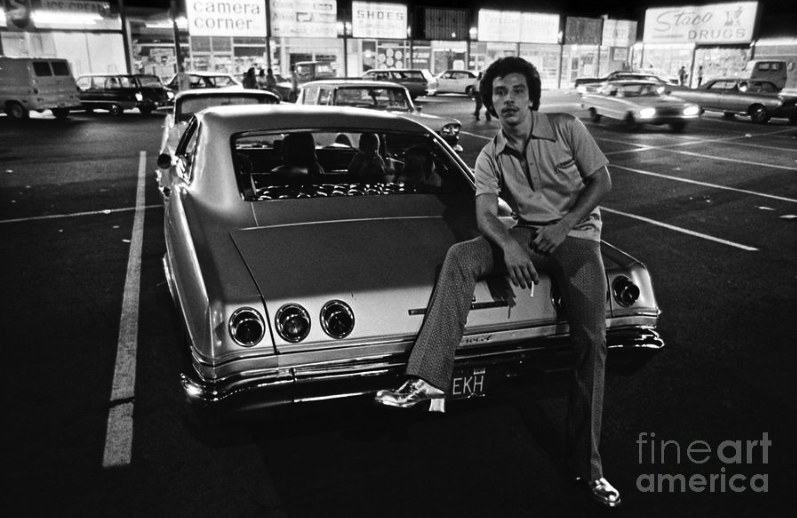 Richard McCloskey’s images of Van Nuys Boulevard in the early 1970s, the cruising and the cars, is now for sale at Art Prints. 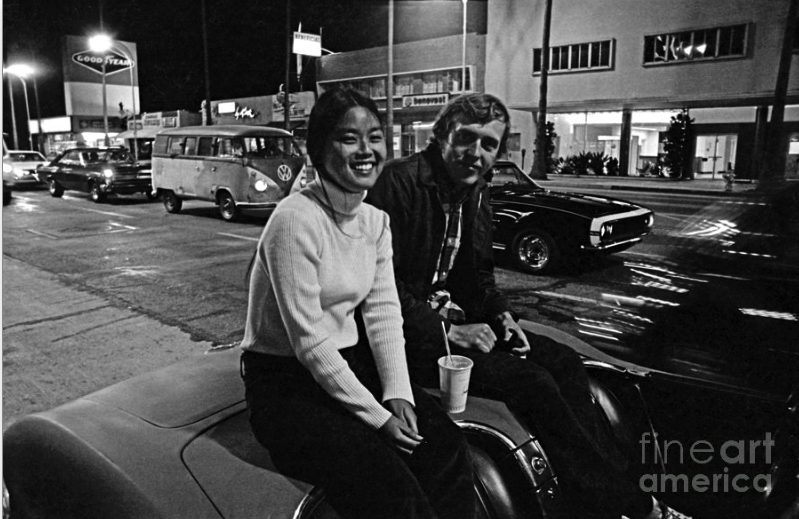 The photos show young people having a good time while hanging out, congregating on the street, and in the shopping center, which still stands next to Gelson’s on Van Nuys Boulevard. The GM plant in Panorama City (1947-1991) built many of the cars that roamed the street. It paid its workers well, who in turn bought cars and produced children to drive them. The cars were fueled by cheap gas (29-33 cents a gallon) which ended after the 1973-74 Arab oil embargo doubled the price of fuel and forced Americans to abandon wasteful muscle cars. Once the cars were gone, the pretty girls and the gritty guys packed up and went away. Van Nuys settled into its current state of illegality, drift and decline. 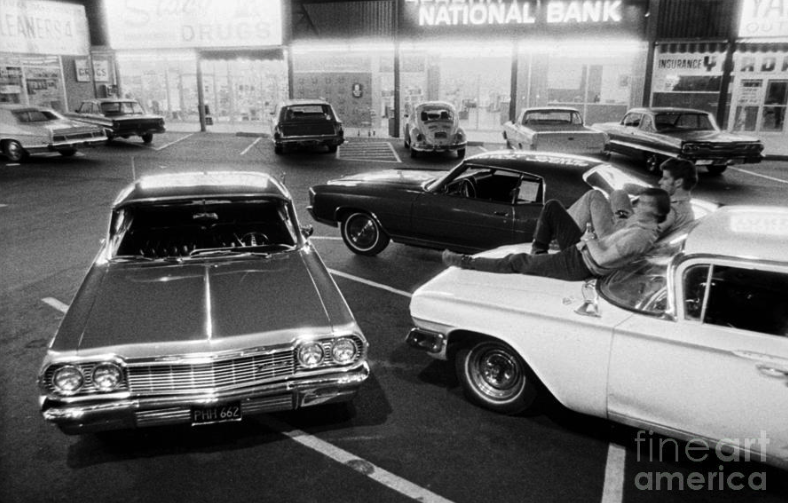 Those kids are now buying up the cars pictured for huge bucks! some would like to remember. of a narcissistic, shallow, ignorant generation. Got stopped by the police one night cruisin, because the tail light on my friend’s 57 Chevy was out. Got a ticket. We had told her parents we were going out to play tennis at Balboa Park. Nice memories.